Halloween is almost upon us, and it is time for some elegantly seasonal vintage style, with the photos from my collaboration project. I'm so excited! 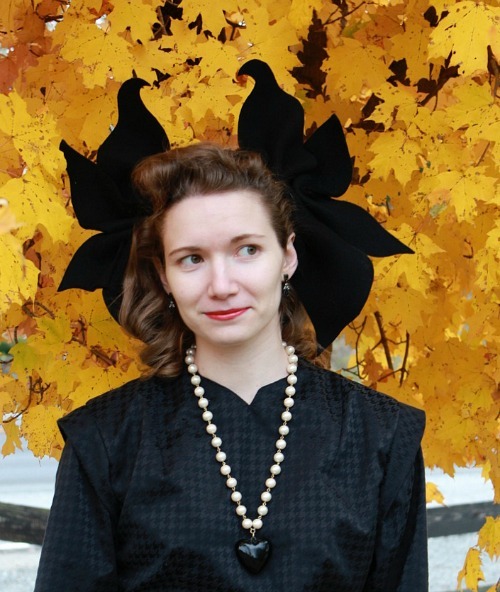 My co-designer in this Halloween collaboration was Casey, who blogs at Noir Girl and you may also know from her delightful vintage outfits on instagram. When Casey and I teamed up, we decided our goal was to make some elegant and stylish vintage-inspired outfits with subtle Halloween themes. After getting some basics in place, we went away to independently sketch outfit ideas drawing inspiration from the 1920s to the 1950s. I already shared on instagam and the email newsletter some of the designs that didn't make it, but we ended up deciding on one each from the 1930s, 1940s and 1950s to make. 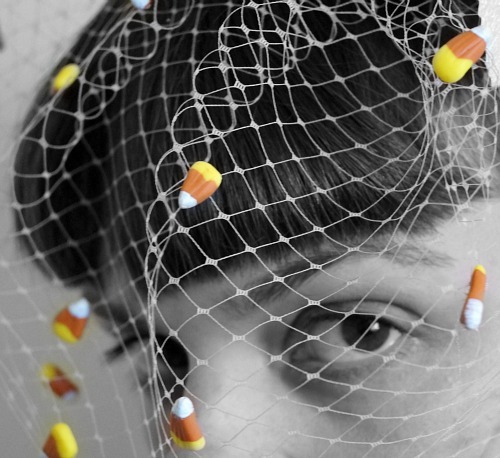 This first is 1950s inspired and a spider web theme. 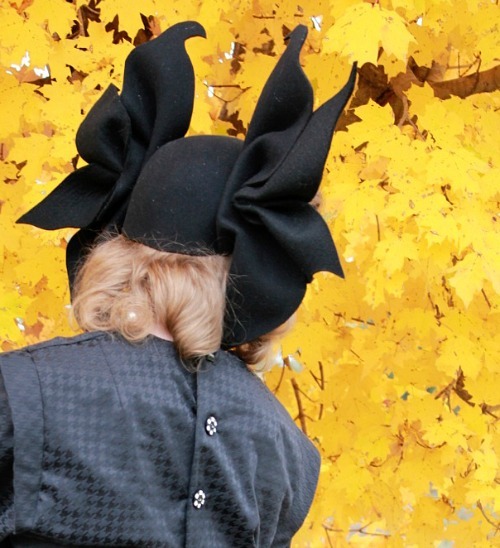 Ever since I saw the photos of Nora in the hat I made for her, where the decoration showed up in silhouette through the hat brim, I had been wanting to make another hat that made use of that idea. My aim with this hat was for the spider web detail and the spiders to be barely visible from above, then appear when the light shone behind. 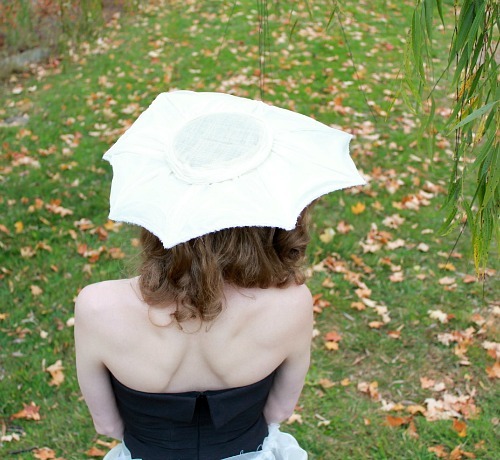 By making the shapes from white felt, and covering the top with organza, they stay nicely hidden at first. With the sun behind, they appear! I won't lie, I'm feeling pretty smug about how that turned out! Casey's fitted black wiggle dress has just the most divine details on the bodice, and a sheer over-skirt representing the spider web. 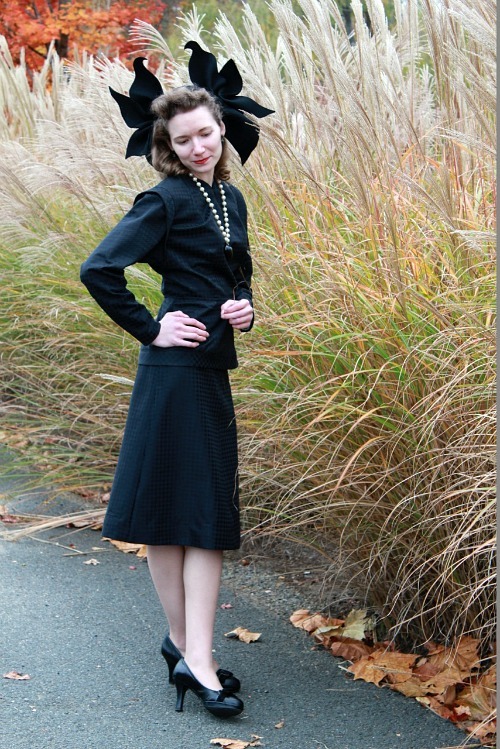 Next up, a 1930s-inspired cat outfit. We went with a black-white-and-grey rather than a more traditional black cat, but it gave us more shades to play with in the outfit, and I'm happy that we did. This has got to be the chic-est cat costume I've ever seen! If I do say so myself, since I sketched the original idea, but really it was Casey's amazing work that brought it to this fantastic conclusion. That little jacket is to die for! 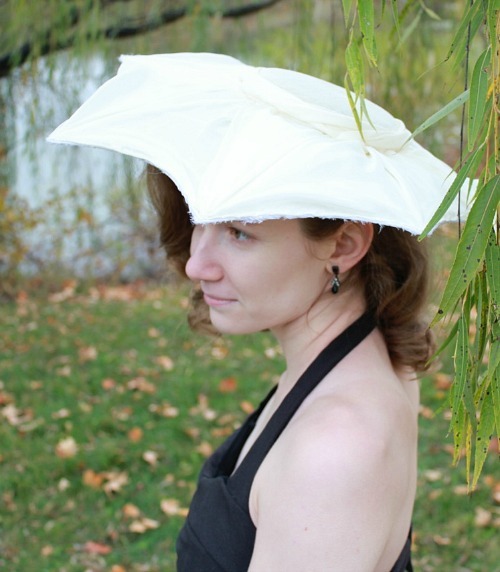 The hat is inspired by a few different little round tilt hats that I've seen photos of, and I've been aching to make one for a while. Velvet cat ears on top add a little twist to the look, and a plaited fabric bandeau holds it in place comfortably. I have saved my favourite until last. This design of Casey's caught my imagination from the very beginning, and although the outfit evolved through the design and making process, it remains my favourite. By a mile. And I really do like the other ones. Our 1940s number takes a bat as it's theme, in a quite abstract way that is elegant but distinctly spooky. Maybe even villainous. 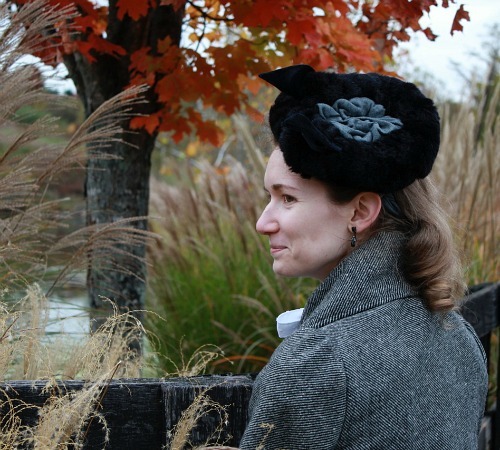 The forties halo hat is the basic style beginning for this hat, with the halo frame around the face developed with sculpted felt shapes reminiscent of the folds of the bat's wings. 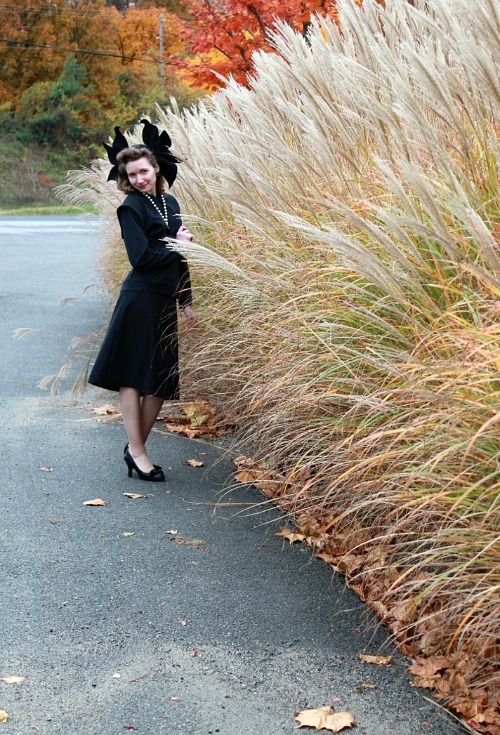 Casey's super-elegant black suit pairs so perfectly with the hat, with it's stylish back buttons, perfect kick to the skirt, and subtle bat-wing sleeve detail. 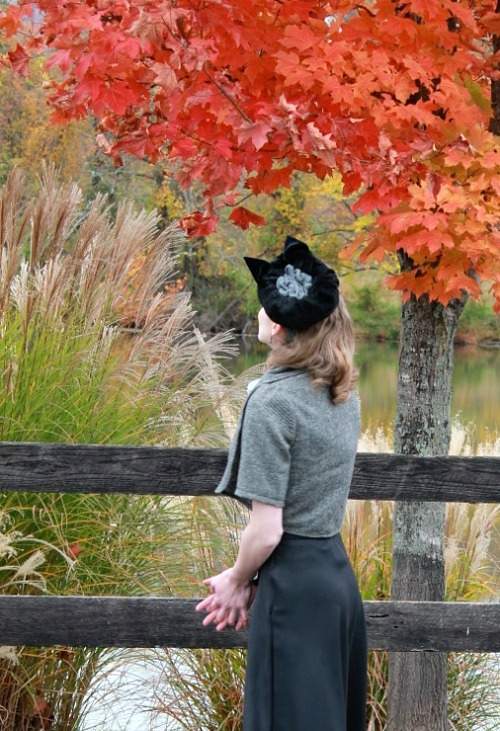 Let's also take a moment to enjoy the photography and stunning autumnal backdrop, and how beautiful Casey looks modelling her own and my creations. 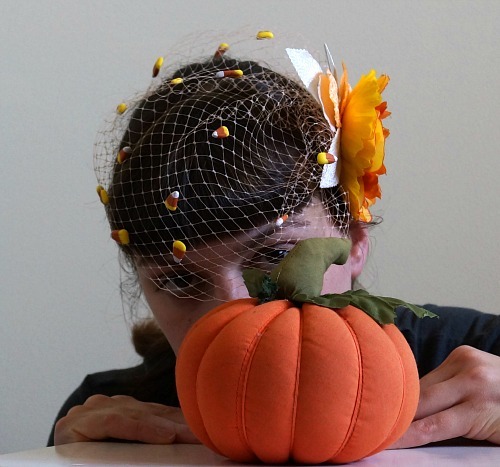 Thank you Casey for your amazing sewing, the fun and inspiration collaborative design process, and helping me make my Halloween hat dreams come true in a way I couldn't have achieved on my own. 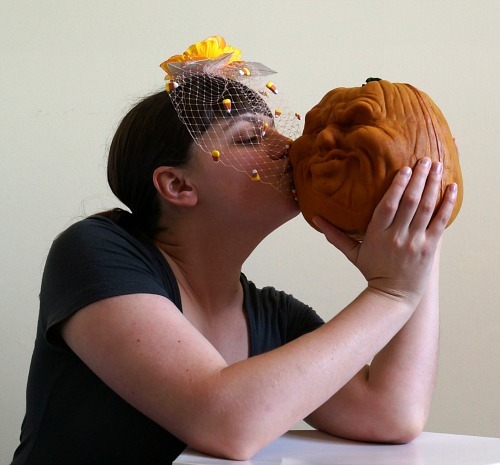 Don't forget to hop on over to Casey's blog to see more photos and hear her side of the story. I'd love to hear what you think! 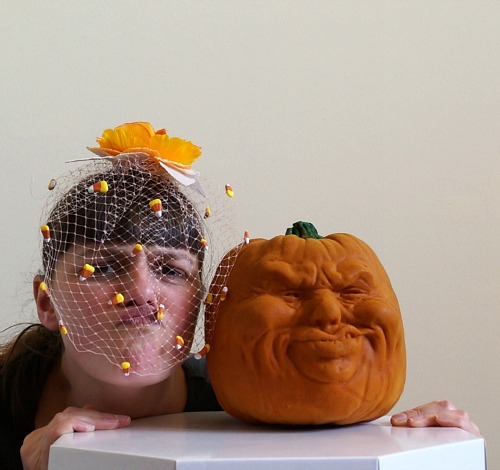 Would you wear a subtle vintage look as a Halloween costume alternative or even just out and about in October? P.S. For the record, Teacup makes an adorable Evil Bat Queen, but I didn't get any photos of that, sadly. 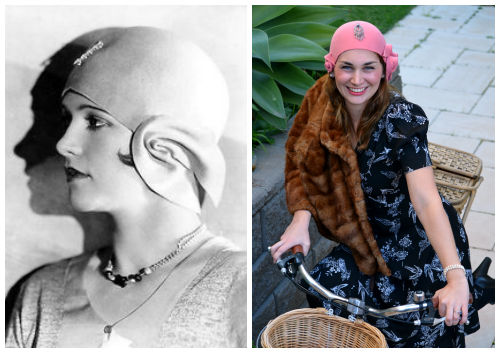 The morality of vintage reproduction: where do you draw the line? You see a beautiful vintage dress. Maybe it is in a museum, maybe on Pinterest, maybe in an Etsy shop or Ebay auction - but way outside your price range, or you miss out. But you want that dress. Exactly that dress. You sew it yourself, or commission a seamstress to make it for you. Is this ok? What if you make the dress multiple times and sell it commercially? What if it wasn't 20th century vintage, but a Victorian ball gown from a museum, or a 16th century costume based on a painting? What if it was a modern designers work from a period movie? Where do you draw the line? 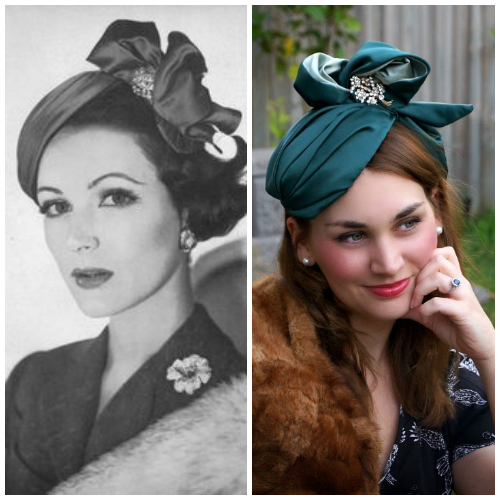 Ok, so this is something I have been thinking about on and off ever since I started selling my hats, and especially since I began to focus on vintage styles. And I don't yet have an answer to the many questions that roll through my head. What if it is just so generic that there is no real intellectual property there? 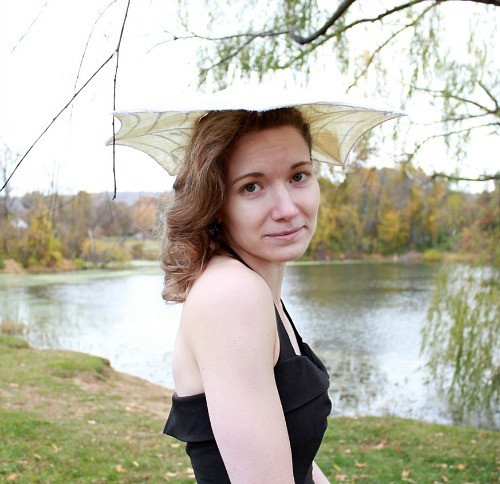 I mean, how many ways are there to make a boater hat? What if I'm using a vintage block - I kind of have to make that exact shape, right? What if I'm basing it on an illustration, so the design is someone else's, but the hat never actually existed? 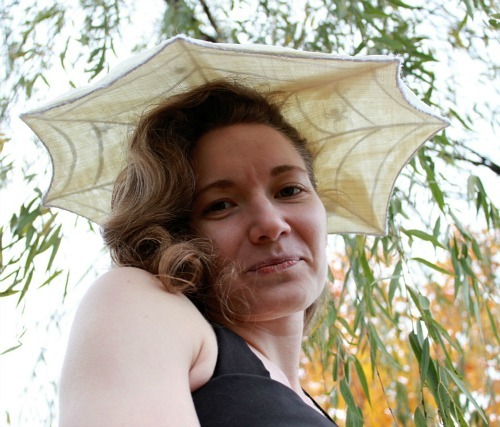 What about taking a pattern from an existing hat? What about drafting my own pattern to achieve a certain shape? 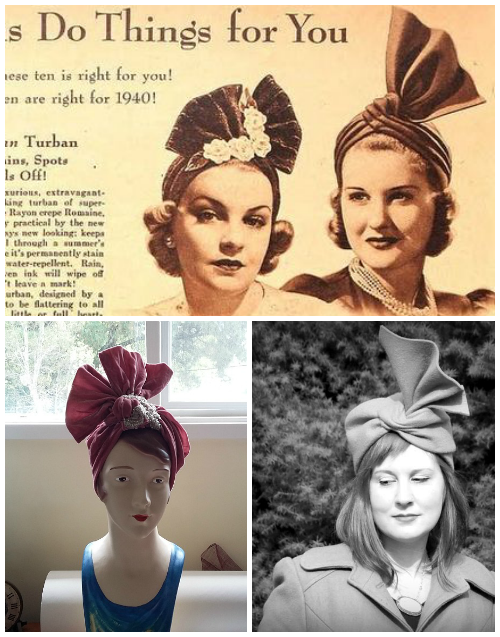 What about selling hats made from vintage patterns? I know that I am definitely happy to take inspiration from vintage images and items and interpret them in my own way, or combine design elements from different places into my own design. (And if the inspiration is only general, I am ok with this for modern work too.) I am definitely happy to attempt a "vague reproduction" of a vintage item, in the knowledge that it will end up different anyway as the making process goes on. I can usually rely on nothing ever turning out exactly how I imagined it! I also know that I am definitely not ok with exactly copying exactly a recent design, but I'm not sure how recent it has to be for me to not be ok with it. 70s? 80s? 90s? 2000s? Legally, I don't think there is an issue, although intellectual property is a very confusing legal space, and my brief education on the matter related to engineering, not fashion. I want, however, to find my own comfortable moral position. There are clearly a lot of factors in the spectrum of this morality, in my mind. How recent is the design? How special and unique is it? How directly am I drawing inspiration from it, or am I copying it outright? I don't have an answer. 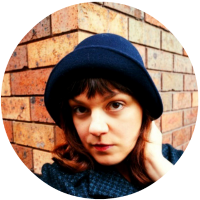 I've just completed a custom order to reproduce a vintage hat as exactly as possible, and I have to say that I (mostly) loved the process, despite occasional frustrations. I liked the challenge of studying the photos, trying to work out what had been done and recreate it myself. I do have nagging doubts about it, but I want it to be ok. Anyway, here it is, in all it's glory. One way I am thinking of it is that while I would be upset and angry if someone copied my own designs now, I would be flattered if they did so in fifty years. What are your personal feelings on the intellectual property of vintage designs? 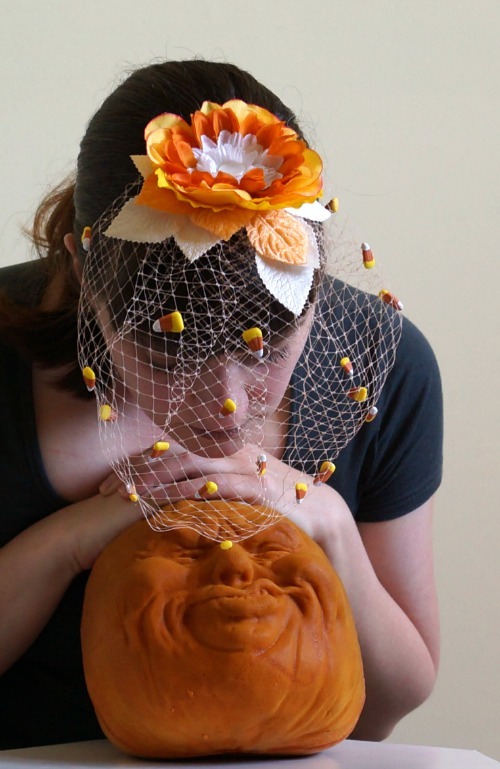 For my October whimsy, I've naturally turned to Halloween for inspiration. 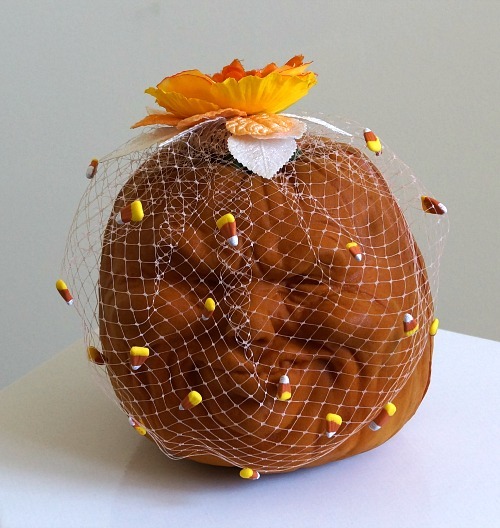 Since I already made some whimsies last Halloween, with shadowy birds, dripping blood and skeleton hands, I felt drawn to something a bit lighter. 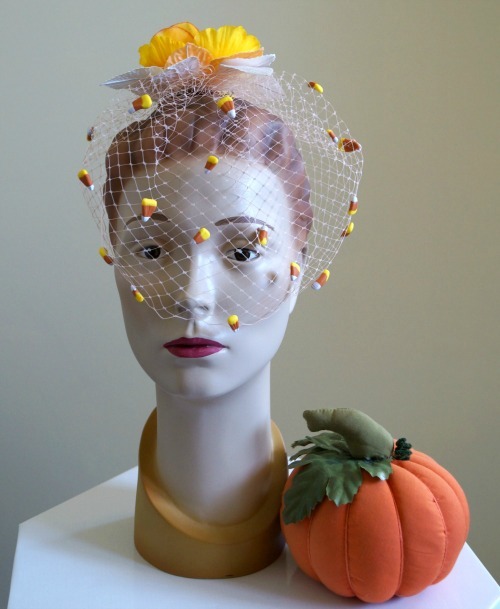 Thanks to a brainstorming session with my friend Sarah, we have a candy corn whimsy! 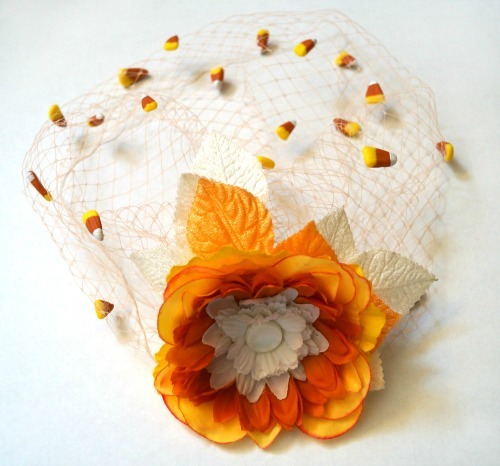 Complete with candy-corn-coloured flower and velvet leaves, handmade candy corn pieces and a light peach-coloured veil. 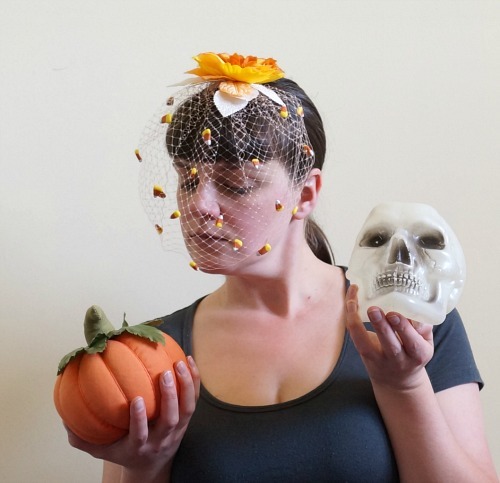 I took the photoshoot as an opportunity to bring out some of my favourite old Halloween decorations. These particular items have been around since I was a kid. I remember the year we got Jack, with his squishy funny face. I think there was a whole collection, although we only had one. Does anyone else remember these or did anyone have one? He's a bit worse for wear now, particularly from some conflicts with cat claws. But still loveable. I'm not sure how he makes that face though. I gave this some serious effort and quite a few attempts. He likes feeling pretty, although he doesn't want to admit it. 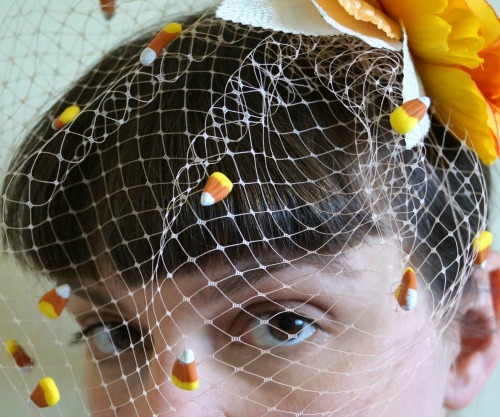 Anyway...another thing I've been meaning to do is show an alternative way to wear a whimsy. My understanding is that the true-to-vintage way is with the flower (or other main decoration) at the top and centre of the head, with the veil coming down to just below the eyes or nose. If you prefer though, I think this looks great with the flower to the side, an the veil arranged over the head from there. Depending on the exact position, you can have the veil fall where you like, even just over your hair if you aren't sure about face veils. I love that one. It makes me look like I have a crazy nose (while conveniently hiding my actual nose!). 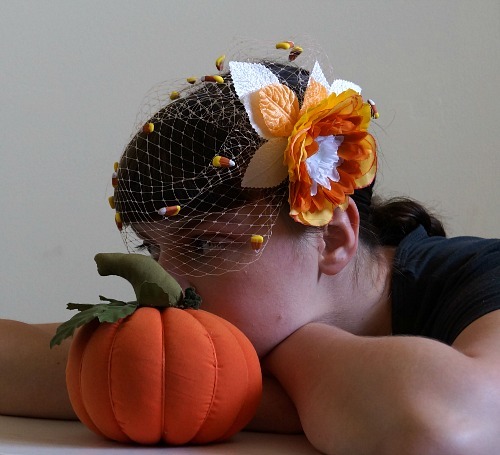 This whimsy is up in my Etsy shop (as are two of last years designs), and ready to ship!